1. 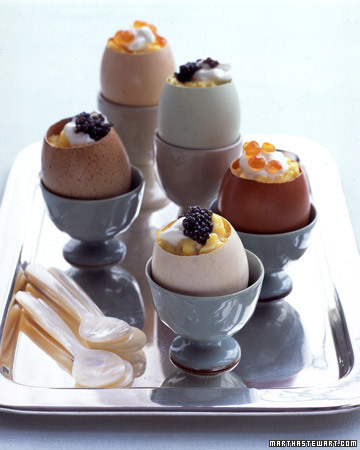 Scrambled Eggs with Creme Fraiche and Caviar in Eggshell Cups: Prepare this special egg dish for an elegant and delicious breakfast. 2. Silver-Dollar Pear Pancakes: I love this Martha Stewart recipe. 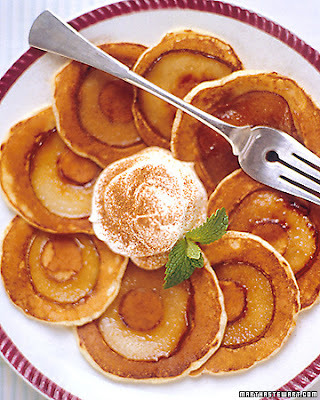 The maple syrup keeps the pears from browning before cooking; it also adds flavor and creates a light glaze. 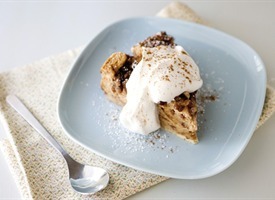 This recipe can easily be halved. 5. 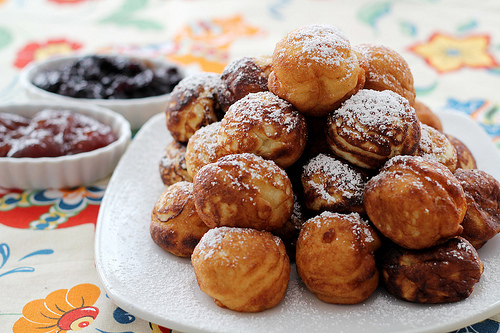 Æbleskiver: (Danish meaning pple slices (singular: æbleskive)) are traditional Danish pancakes in a distinctive shape of a sphere. Somewhat similar in texture to American pancakes crossed with a popover, æbleskiver are solid like a pancake but light and fluffy like a popover. 6. 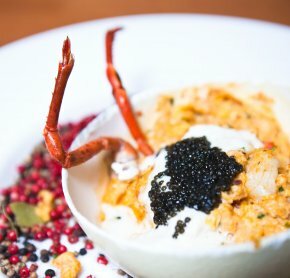 Lobster Scambled Eggs: This lobster scrambled eggs recipe comes from Chef David Burke, whose whimsical and dramatic take on modern American cuisine drew us to SoHo's David Burke Kitchen, his newest venture. The key to this dish is using the best eggs you can find, free-range and fresh from the coop if possible (scope out the egg scene at your local farmers market). Very ripe summer tomatoes will also work wonders. Do that lobster justice. 7. 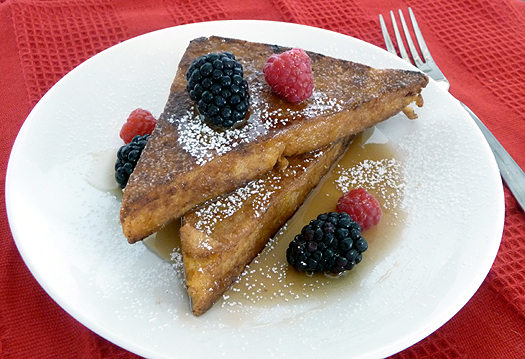 Polenta French Toast: Fried wedges of polenta get their nuanced sweetness and spice from orange zest, cinnamon, and pure maple syrup. 8. 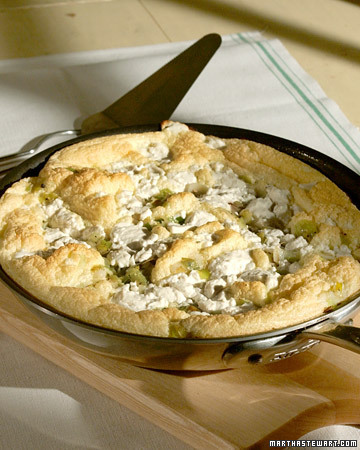 Souffled Frittata with Leeks, Tomatoes, and Goat Cheese: The secret of this frittata is to beat egg whites to stiff peaks. The result is absolutely amazing. 9. 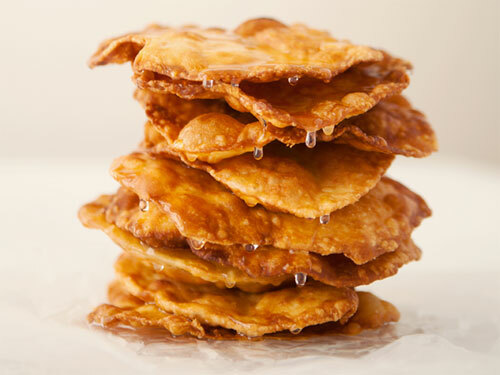 Buñuelos de Rodilla (Mexican Christmas Fritters) Buñuelo dough is simple, but the process is labor intensive, even when one replaces hand stretching over a bended knee with a rolling pin. 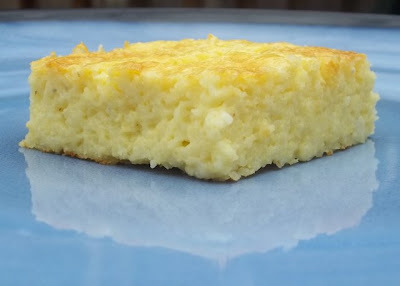 A mixture of flour, lard, and eggs is moistened with anise liqueur-scented sugar water (once upon a time, this water was infused with tomatillo husks, which provided a leavening agent—today many recipes rely on chemical leaveners) then kneaded for up to 15 minutes. 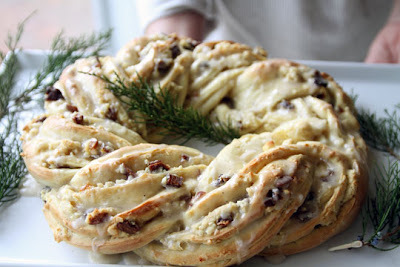 After a resting period, the dough is shaped into wafer-thin rounds and allowed to rest once again. This second rest dries out the dough and guarantees a crisp buñuelo. 10. 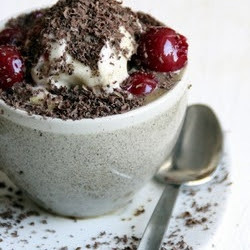 Jamie Oliver Black Forest Affogato: Instead of serving regular coffee why don't you serve an affogato. This coffee comes with cherries, vanilla ice cream and chocolate. 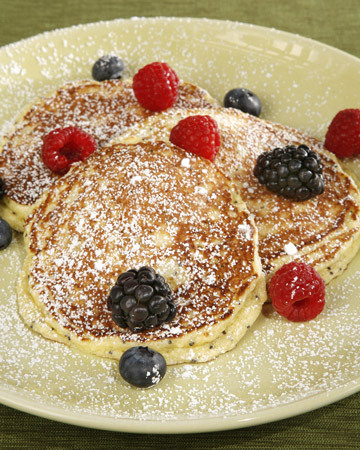 This sweet treat will turn you breakfast from ordinary to extraordinary. 12. Blue Grits Souffle: If you like cheese grits, you’re going to love cheese grits soufflé. The soufflé is both airy and chewy and the blue cheese gives the dish a pleasant, tangy flavor. This is a perfect side dish for the holidays and can be served for breakfast, lunch, or dinner. 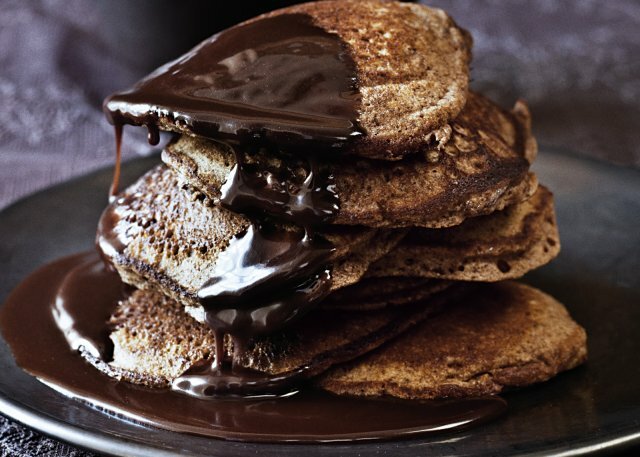 Chocolate Maple Syrup Makes For Sweet Brunch Food. 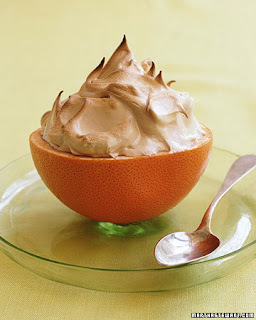 This Recipe Indulgent And Naughty. Feel Free To Add Blueberries, Nuts, And Sultanas If The Fancy Takes You. The Syrup Can Be Made Days Or Even Weeks In Advance. 14. Red Grapefruit with Bruleed Meringue:The meringue in this dessert is made with brown sugar, the classic topping for broiled grapefruit. 15. Scrambled Eggs, Avocado, and Smoked Salmon on Toast This open-face sandwich makes a great meal or snack morning, noon, or night. this is just ridiculous and should NOT be allowed! wow... wowowow.... the affogato, the caviar eggs, the choco pancakes! Dios mio! Wow!!! Amazing! 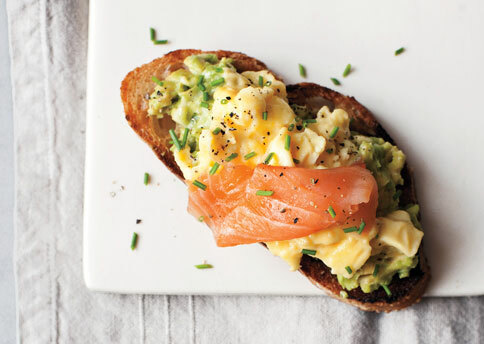 You had me at Lobster Scrambled Eggs!!! this is a great recap... I do not eat breakfast on Xmas morning because for the last 10 years I have gone on a spiritual retreat from Dec 25-Jan 1 where we fast for 7 days... so I only have juice on Xmas morning now.